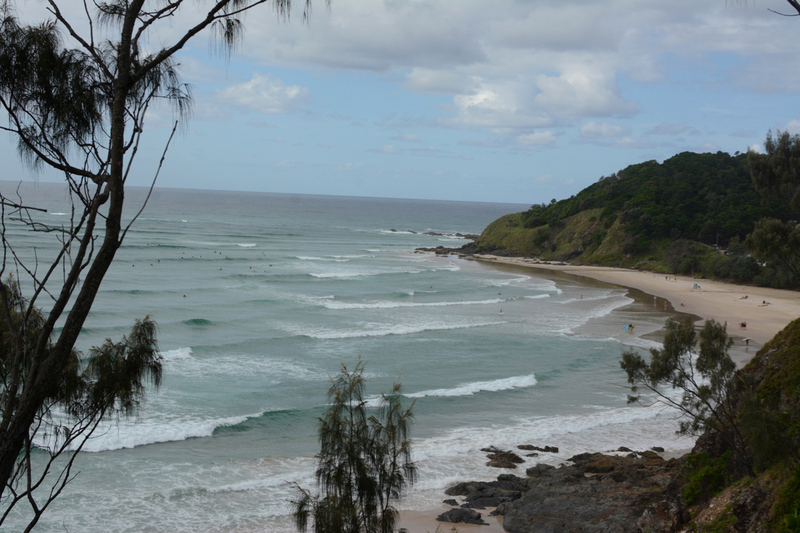 We discovered Byron Bay during our first campervan journey up the east coast of Australia back in 2010. It rained every day during that visit, which kept us from spending time on Bryon’s beautiful beaches, but forced us inland to discover its ‘hinterland’ — a verdant countryside of rolling hills, secret swimming holes and charming towns. While Byron’s beaches and surf scene are its biggest draw, the fact that there are so many beautiful surrounding towns with their own events, markets, shops and restaurants — all within 20 minutes of Byron — gives this happening little town even more appeal. I remember driving along those winding country roads in our camper van in 2010, telling Michael that this would be my dream spot if I could live anywhere in the world. 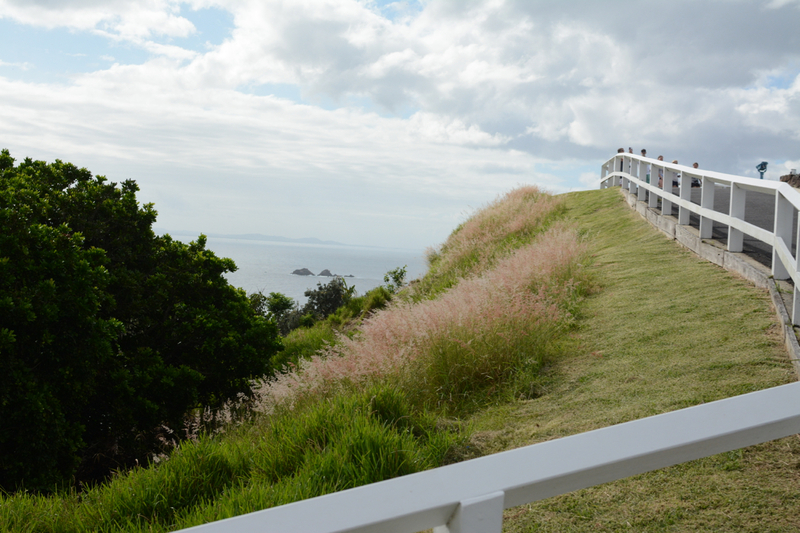 The Top Shop: A Byron Bay institution, and rightfully so! The coffee and food is easy to like, and its location makes it the perfect place to stop before or after a surf. Harvest Café in Newrybar: One of the best restaurants in the area, Harvest is a great place for a special lunch or dinner. On weekend mornings they open up their gorgeous bakery and sell delicious treats from a big farmhouse table. The perfect way to kick off the weekend! The Roadhouse in Byron: Apparently this is the hipster hang out, but they have always welcomed our boisterous gang of beach rats with open arms. Great food and amazing coffee are on offer in a lovely patio space. Dinner is great too, but kids aren’t allowed in the evenings. Woods Café in Bangalow: Just a 5-minute walk from our house, this is our favourite local café. The staff is super friendly and the plant-based food is divine. There’s also a pretty courtyard where kids can run around while you wait for your food or enjoy a second coffee. The Farm: Located just outside of Byron Bay, this working farm/restaurant/café/shop/play-space is a wonderful, family friendly spot to hang out, meet friends, and enjoy a delicious meal. We love their donuts, breads and sandwiches from their take-away counter, and the food from the Three Blue Ducks restaurant is outstanding. The Treehouse: Best for the beachy atmosphere and drinks, we have enjoyed this relaxed place for a couple impromptu dinners with large groups. You can come straight from the beach as you won’t feel a bit out of place here with sandy feet or wet clothes. Doma Café in Federal: This Japanese-Australian restaurant is one of our favourites for their delicious food and pretty outside dining area. Definitely worth the drive to Federal just for this gem of a restaurant! The Belle General in Lennox Head: We discovered this café/restaurant when we camped in Lennox Head before arriving to Byron Bay last year and loved it so much, we went back a few times over the course of the next month. They have really delicious food and coffee — definitely worth the drive out of town. Mullumbimby Farmers Market on Friday mornings: we love this market for the great organic food stalls, friendly people and laid-back vibe. There’s also a Farmers Market in Bangalow on Saturday mornings, and one in Byron on Thursday mornings. Punch & Daisy in Mullumbimby: Owned by sweet friends of ours, this charming little cafe serves delicious, healthy foods all made to order, and great coffee too. Perfect for lunch with the kids with plenty of casual seating both inside and out in their courtyard. Yami in Brunswick Heads: This little vegetarian restaurant serves delicious mediterranean food and has a nice outdoor seating area. We love to stop here for falafel before or after a swim in the Brunswick area. Surf at The Pass: The Pass is the perfect place for surfers of all abilities. The point break and gentle waves are ideal for every surfer in our family and it’s a gorgeous place to watch the sunset. 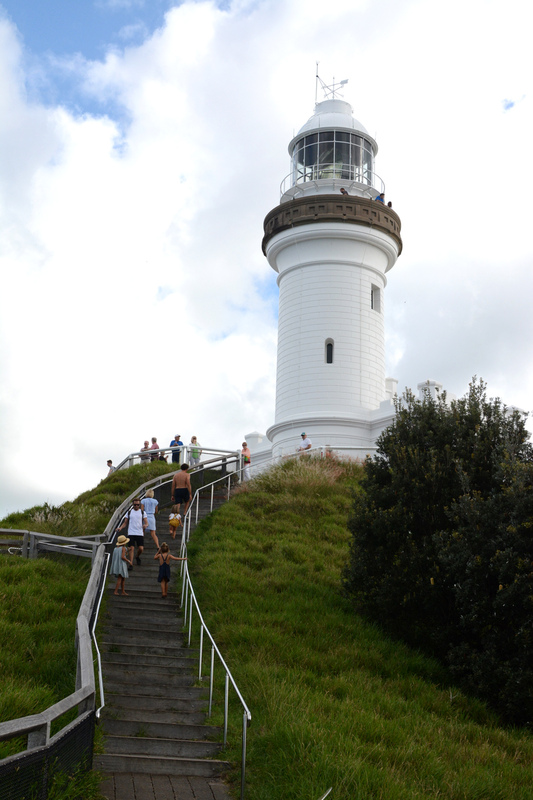 Walk up to the lighthouse for stunning views up and down the coast (and dolphin spotting too, if you’re lucky!). Snorkel and swim with sea turtles at Julian Rocks: last year we booked a snorkel tour with the Byron Bay Dive Centre. The minimum age is 6, so Marlow was too young – but Michael took the three bigger kids and they loved it! They saw sea turtles, leopard sharks, and all sorts of fish and other sea life. Killen Falls: There are several creeks and waterfalls in the gorgeous hinterland surrounding Byron Bay. We love swimming at the base of Killen Falls (though the large, jagged rocks make it slightly tricky to get into the water). We’ve even seen some baby turtles swimming next to us — a highlight for the kids. Tea Tree lakes: There are a few different tea tree lakes scattered around the Byron Bay region. The lakes are warm thanks to their dark colour, and are believed to have healing properties due to the tea-tree oil infused waters. This is a good option on a windy day as these lakes tend to be more protected from the wind. 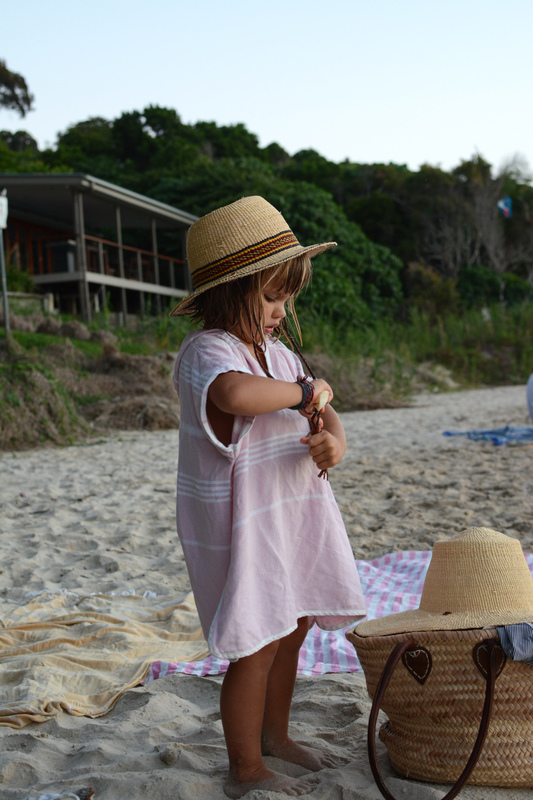 Yoli & Otis in Byron Bay: this local children’s brand recently set up a gorgeous shop in the Byron industrial estate and everything about it is inspiring and beautiful. They have a collection of clothing for babies, children and women as well as a small but well curated collection of homewares and accessories. Tiny People in Byron Bay: a great children’s shop with lots of my favourite brands from all over the world. Mary Ryan’s Bookstore in Byron Bay: a charming bookstore with a good children’s section. The Bangalow Market: held on the 4th Sunday of every month, we love this big market full of gorgeous, locally-made products and crafts. A wonderful place to pick up unique gifts from the area. The Finders Club in Bangalow: a great shop for trendy menswear and accessories. I stopped in here to pick up Michael’s christmas presents this year and they did not disappoint. Channel Island: A notch above the rest when it comes to style and sophistication in surf products. Beautiful boards, stylish board bags and a great selection of clothes. Sunshine Trader in Brunswick Heads: this small but well-curated little boutique has a great selection of books, gifts and home accessories. They also have a small selection of mens and womenswear, stocking many of Byron’s best local designers. 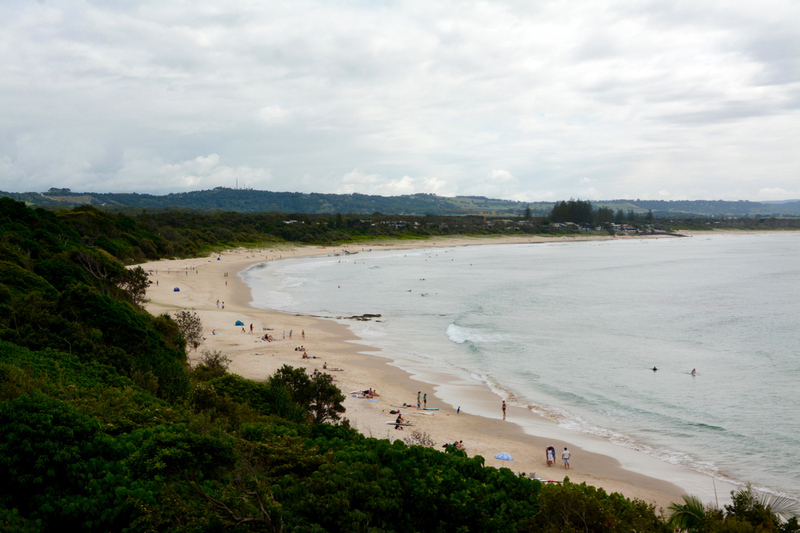 When we visited Byron Bay six years ago on our first campervan journey, wet weather kept us from doing the usual beachy things. Instead we drove inland and discovered the gorgeous little town of Bangalow. With cute shops, great cafes and a friendly community of residents, we knew we wanted to base ourselves there if ever we returned. Luckily, we discovered the Granuaille Residence on the Kid & Coe site last year when we started planning our trip, and we immediately booked it. The house is cosy, kid-friendly and stylish. It’s also perfectly located within a short walk of town. As fate would have it, we ended up becoming good friends with the owners, who returned from an extended trip to California in time to meet up while we were still in town. Poppy is a film director and Andy is a musician who will soon be releasing a rock album for kids. Aibnb is a really common way for locals to rent out their homes and make a bit of extra money. For this reason, there are loads of options for places to stay in the area. The Atlantic is a charming boutique hotel in the centre of Byron with stylish, individually decorated guest houses. Unfortunately, kids are not allowed here — so it’s one for an adults-only holiday. Elements of Byron: what this hotel lacks in charm and character, it makes up for in amenities and the location right on the beach in Belongil. We’ve had friends stay here who were very happy with the customer service. Thanks for the nice comments. Marlow’s beach towel poncho was from a little shop in Chile and I don’t think it’s in stock any more. Great summary Courtney, thanks! 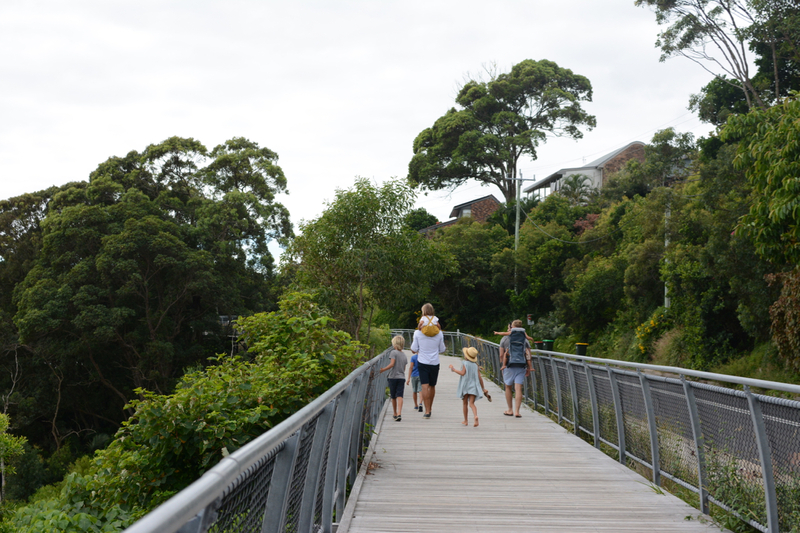 We came up to Byron as a newly married couple in 2001- can’t wait to go back with the kids in tow, so your family friendly recommendations are just what I need in planning the next trip (soon I hope 😊). It really is a beautiful spot! Courtney, can you please do a follow up post on your travel budget now that your around the world journey is complete? Did you go over budget in some areas, were there some countries you found more/less expensive than expected, what would you have done differently? I am so curious as it looks like you were able to stay in beautiful accommodations and try out many delicious restaurants. I can appreciate that that isn’t inexpensive for a family of 6. Thank you. Wonderful post – on my travel list for sure! Perhaps I missed a post, but am curious how/what you pack for yourself and family for a day at the beach? I always seem to overpack and then end up managing our belongings for a good portion of the day! Thanks for sharing your favorite spots! I think that’s it. I don’t over complicate things when packing, so I don’t bring beach toys or spare clothing or spare swimsuits, etc. 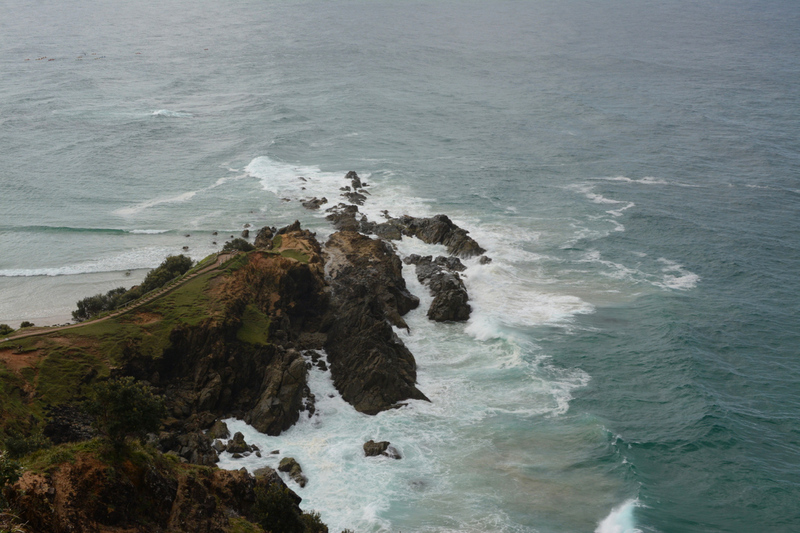 Love the gorgeous photos and latest guide to Byron! It’s an amazing place. I’m an Aussie living in London and Byron is one of my favourite places in the world, as is Positano too, which your family all love too. Does the visa mean you are looking at moving to Australia?! Hello, thanks for your reply! I will keep my fingers crossed. By the way, I find it interesting to read that apparently you find it not at all difficult to spend another 9 months in AUS without a permission (and the need) to work. It’s probably a matter of one’s personal budget. Best wishes! I can’t comment for Courtney, but having been in this situation myself (twice now, in fact!) I can say that you sort of just make it work. It often comes with a bit of sacrifice, but you make it work. The first time I was in this situation, I had planned for it and saved up and budgeted for it, in the same way someone might save up and budget for a new car. I used the time of unemployment to volunteer in an area relevant to my career and to take the time as an opportunity to take up a new hobby I’d always wanted to try. This might sound luxurious, but like I said, I’d saved up and knew that it was a time-limited period and I wanted to make the most of it. The second time I found myself waiting for a visa/work permit, I did not have the savings/budget to do this again, so I worked as a remote consultant for a company that was located in a country where I had the legal right to work. In this day and age, there is no reason to be restricted to working in the country you are residing and so many jobs can be done remotely thanks to the internet! The other thing I will say, is that people who choose to live this kind of life (traveling extensively and relocating to new countries) have usually made a fairly firm lifestyle choice to live this way, vs deciding to do this in addition to living a regular, “normal” lifestyle. For example, my husband and I have never and will never drive brand new cars, own expensive TVs or gadgets, send our kids to private schools or save extra for retirement (all things that may seem very normal to some people) – we’ve made a distinct decision to focus on living a life rich in experiences and focus on discovering as much as we can about the world we live in, and that does include changing our worldviews about what we need in life. If this is the kind of life you want to live, please don’t think that finances need to stop you from doing it – you may need to get creative and seek out new opportunities, but it is possible if you put your mind to it! They’re not like “normal” families on ordinary wages though. They would like you to believe that it is very attainable to rock up to Australia and start a new life. But in reality, unless you are very very wealthy like the Adams family – it is not do-able. Courtney owns her own business and is probably still working and has been the entire time she was traveling. 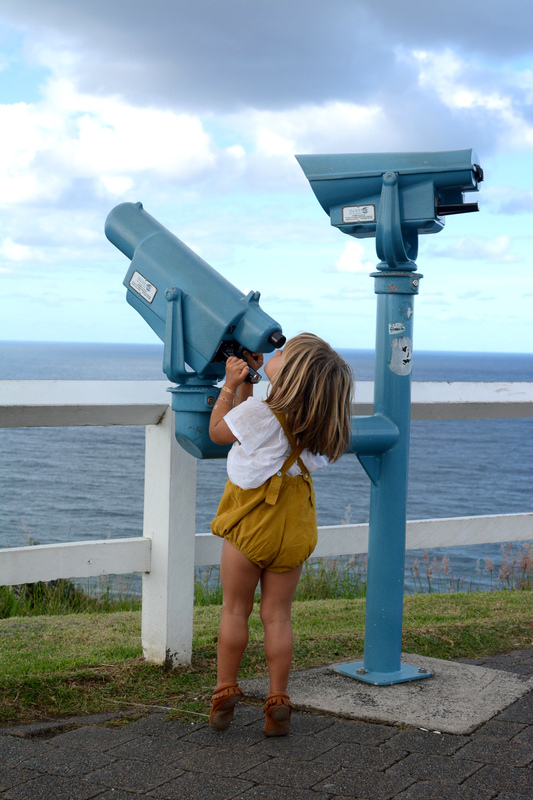 We’re planning a camping/surfing/diving trip from Port Douglas to Sydney with our 4 children this European summer and will have a week in Byron – good to read your great travel tips Can you recommend a good surf school for children in Byron and the best beaches for them? This is not true. We are not working for any Australian companies, but I can continue to run my UK business along with my business partners like I have done for the past 18 months of travel. It is a privilege to be able to provide for my family and I work very hard to do so. I’m so glad these tips will come in handy for you! Yes, I’d definitely recommend hiring a car. Unfortunately, it’s not so easy to get between the little towns if you aren’t able to drive there.